This successful business based in Scotland has used the CRM since 2014, and their team of up to 8 call over 20,000 businesses at least once a year - to offer training and apprenticeship schemes. They use the system from both of their offices, controlling staff throughput and ensuring that potential clients are contacted appropriately. 2. Specialist Training and Consulting firm. This company delivers specialist financial services into UK companies employing over 250. It uses the BusinessGT system for all outbound telemarketing phone calls, its accounting system, the web site, and they take on-line payments using credit card facilities. Specialising in the Aerospace sector, this company (t/o £5m) supports large OEM organisations develop and deliver advanced technology in their components and overall operations. They use the BusinessGT web site system to run their web site, inbound leads monitoring, and their email campaign marketing. Focusing on the Engineering and Manufacturing sector, this organisation delivers specialist Adwords and SEO and Analytics support to companies across the UK. 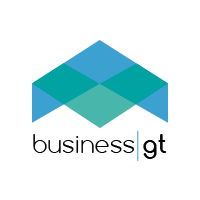 They use the BusinessGT system to run their accounts, oversee projects, run their web site and inbound leads - plus control the CRM and marketing campaigns. This micro-business uses the web site system, and nothing else. The design was implemented in 3 days and cost very little. Total charge for 2018 was 24 credits.